The aim of the article was to use the latest information released from the Soviet archives to build up a picture of the level of motorisation of Soviet infantry during the Second World War and to see if this changed over the course of the war. The project was prompted by a growing trend over the last decade or so of publications claiming that the delivery of Lend Lease vehicles from 1943 onwards gave Rifle Divisions access to more transport and as at least one author has claimed, this gave a significant mobility advantage over the defending German infantry. The second section used the organisational material produced by the Red Army to examine in detail where motor vehicles were used within the Rifle Division structure, the idea behind this was to produce a baseline could be used when examining actual wartime statistics. While most Soviet units were quite understrength, nonetheless these official figures show where the planners hoped to deploy the vehicles and exactly the extent of horse-drawn transport and weapons. The final section used material from the Pamyat Naroda website fonds dealing with the 7 Guards Army and the 8 Guards Army for the period 1943 to 1945 to show exactly where an operational Army had its vehicles and how they were used over a period of three years. This involved translating multiple documents to establish both the combat vehicles and those used in the Rear as well as Front documents to establish the vehicles deployed at this level or in the STAVKA reserve. The conclusions that presented themselves posed a challenge. The figures had revealed that right up to the end of the war the Red Army Rifle Divisions and Combined Arms Armies had relied to a large extent on horse drawn transport and that motor vehicle usage had not improved the lot of the Rifle Divisions at all. Where extra vehicles had been available these had been given to Army level artillery units to improve anti-tank defence and artillery attacks. Yet the historiography and Soviet era writing stress that Red Army mobility improved in 1944 and 1945 which posed the question, how, if it was not down to greater truck use, did this happen? The solution was a radical re-think of the operation of modern horse-drawn armies using earlier authors such as the Russian intendant Kankrin. 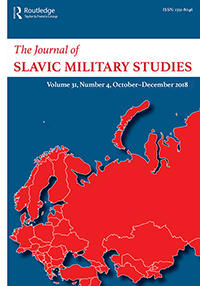 The research produced such an amount of material on the logistical operation of Soviet Combined Arms Armies that a second article has been written and submitted to the Journal of Slavic Military Studies. Once it has gone through the peer review process and is accepted for publication, this might appear sometime in 2019-20.